Last night, I re=watched Spider-man (2002) for the first time on my DVD in ages. I even watched the commentary and I came across something interesting. One of the Marvel creators, it may have been Stan Lee, compared Spider-man to Batman of DC Comics. Batman cannot be summed up in a single sentence, but Spidey can: “with great power, comes great responsibility.” The commentors reflected on the idea that this is not just any form of altruism, but the Golden Rule. Of course, the source of the Golden Rule is Judaism, and while there are some Christians who may object to it as a starting point for an objective morality, I think to deny its usefulness and general application is flawed. During Man Of Steel’s premiere, I kept thinking how much of a problem it was to keep aligning Superman with Jesus, I mean, were not Jerry Seigel and Joe Shuster both Jewish? 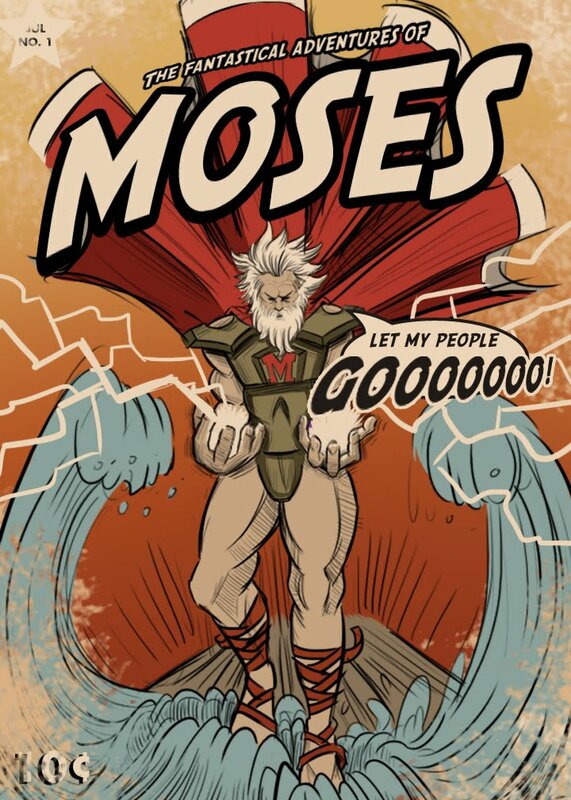 And does not the story of Kal El read more like Moses? But that would make America Egypt wouldn’t it, and we don’t like that! “The so-called Golden Age of comics emerges out of the Great Depression and the rise of Hitler and Japanese militarism. From 1940 to 1945, comic book sales tripled. Centered especially around New York, a number of young Jewish artists began to create superheroes in the midst of social fragmentation and uncertainty. The creation story occurs when Jerry Siegel and Joe Shuster wrote and inked Superman as the first issue of Action Comics in June 1938. The next year Bill Finger and Bob Kane published the first appearance of Batman in the series Detective Comics. They were all in their early-mid 20s. I wonder what would happened if someone took a closer look, and examined the values of early comic book heroes from the mid-20th century and compared them, say Jewish and/or Ancient Greek ethics. In the Federalist Papers, I do recall, that the authors make use of the history of the Greeks as something of a model, both negative and positive. Anti-slavery superhero David Walker uses both Jewish history and Greek history to make the case against racist philosopher Thomas Jefferson and his Jeffersonian plutocracy. There’s something about religious Platonism and the Bible that many American religionists have an affinity for. Also of interest, check out James McGrath’s post, The Jewish Roots of the Vulcan Salute. Lastly, check out Texas Superwoman Wendy Davis! That’s my state senator! This entry was posted in Political Jesus and tagged comic books, comic movies, Hebrew Bible, Judaism, Moses, Old Testament, superman on June 29, 2013 by Rod T.